If I have to define Strategic Selling in few words, it would be maintaining an " Iterative and Profitable Relationship" with Customers. 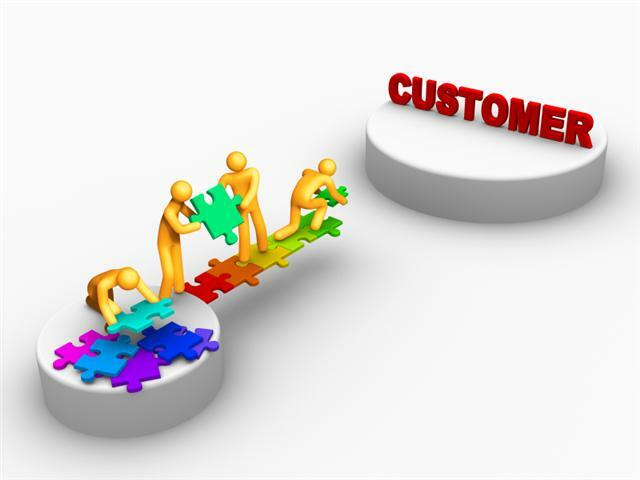 Transactional Selling is not beneficial for customers as well as for a Sales Consultant. So what are the ways to do this? I am reading this book- Strategic Selling with Miller Heiman and hoping to add some skills in my otherwise empty bag :). I'll try to bring out the best practices/suggestions in this blog. In complex selling environments of today's world, it is more important to identify decision makers in the chain that can understand your value proposition. One thing that I have understood during selling is that you sell different things to different stakeholders in the company. For instance in a Logistics Industry, you'll sell price to EXIM Manager, value added services to Marketing Head & Strategy to SCM head. Approach towards Handling an Account:- It is equally important to think about your account strategically as it is important to think about Sales Pitch. My own version of Moneyball " When I see my accounts, I see an imperfect understanding from where sales will come to me "
Step 1- Identify all the relevant changes that you can bring in the account. List down all the relevant changes that can be done in this account that may effect handling of your account.These are the changes that you expect may happen in due course of time. It is generally noted that uncertainties or unknown things in the account delays the sales and ability to handle these minor changes can improve your chances of closing of sales. Now rate these changes as opportunities and threats. To give you an example, an opportunity may be employing unused resources at one client to other client and threat may be cost cutting by Client. This will help you in anticipating these changes and enable you to do your homework properly. It is important to state down your current objective on the account. I always find it useful and pragmatic to set objective on the account very clear. There are numerous accounts, you pursue as a sales guy, some of these accounts are small, large, multiple decision makers, multiple locations etc. So it is simple to set the objective clear. In different stages of sales cycle, one can always review these objectives. For instance for a large new account, my strategy would be to get an entry into the account, build multi level relationship with decision makers and try to start a transaction as soon as possible. In the later stages of sales cycle, my intention would be to get a larger share of customer wallet, cross sell, up sell our services to the client and so on. The next step in the entire thing is to check your position- How do you feel about this account?. Do you feel about closing this piece of business?. One can also do this kind of profiling in his current set of accounts and that would make him understand and realise the situation/quality of his sales funnel. You have a clear idea now on your position and the next step is to evaluate your options/alternatives.List down all the alternatives to bring a change in your account. One of the most difficult thing in a sales process is to drop the account. You know you have worked really hard on the account and you have explored all options. Any further dragging on this account is waste of time so what would you do- You will drop it. It is similar to a situation where you have to let go of difficult question in a SAT/GMAT, it does not mean that you are incapable,it simply means that when you do cost benefit analysis on this account , it is not worth anymore.